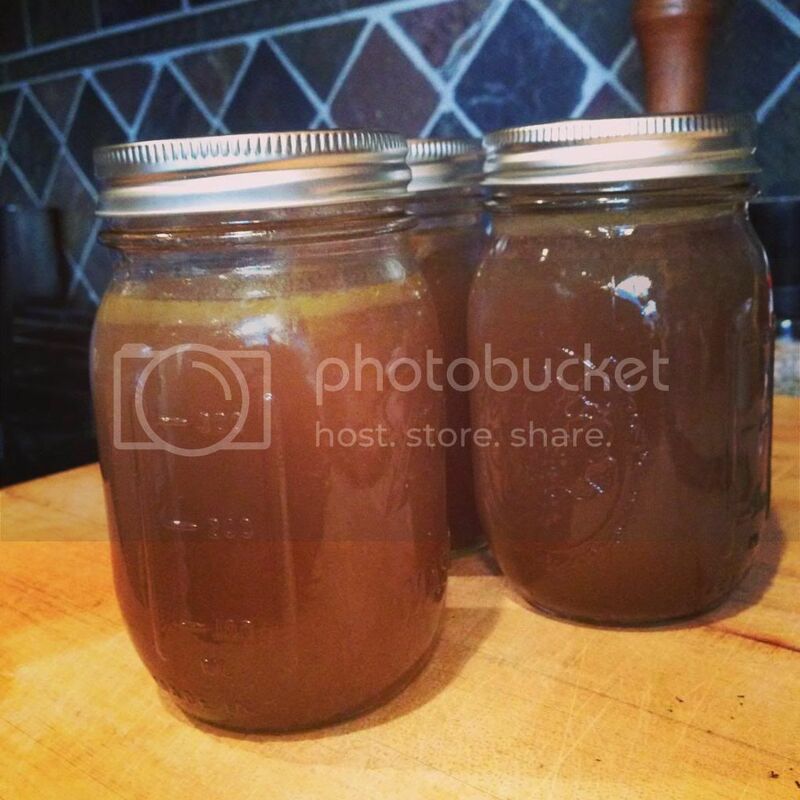 Homemade broth really is so simple and SO inexpensive! Don’t get me wrong I have and will use store bought broth or stock when I don’t have any on hand but I do try to always stick to lower sodium organic options. When you make it you can control everything that goes in and thats a good thing for you. 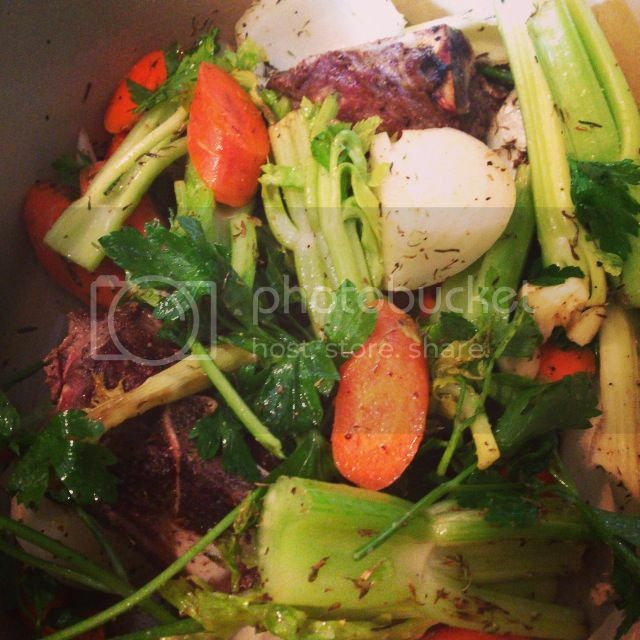 Broths have several basic ingredients…water, a piece of meat (unless making vegetable stock), onions, carrots, celery, herbs, salt and pepper. 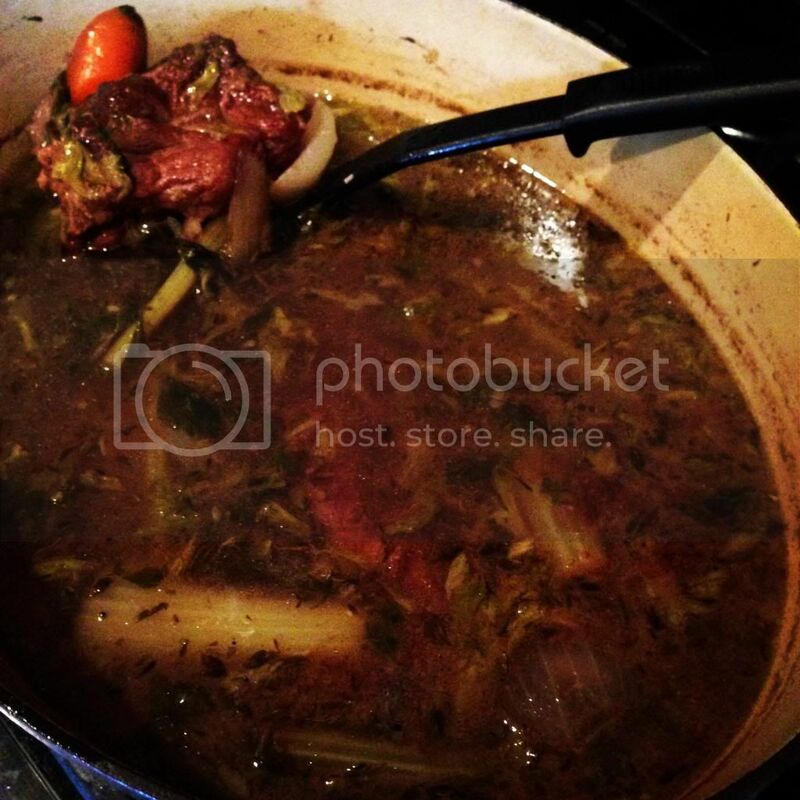 For this hearty beef broth I also added in some red wine! Use this as the base for gravy or soups. I’ll be posting a recipe for my super simple French Onion Soup using this broth. In a large heavy pot, over medium high heat, add in a couple Tbsp of olive oil. 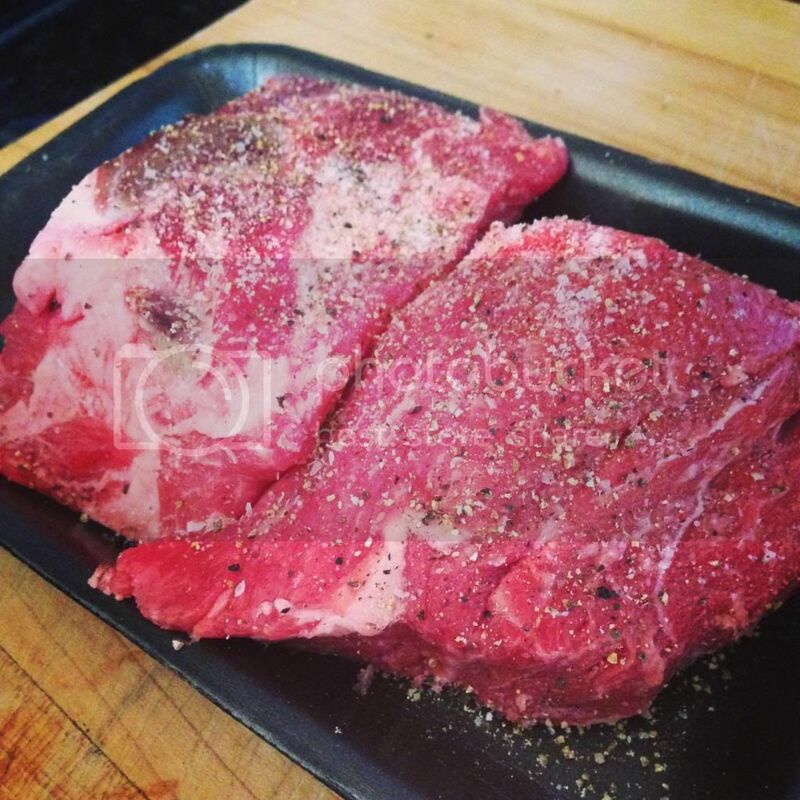 Heavily season all sides of the meat with salt and pepper. Brown the beef on all sides until a nice crust forms. Should only take a few minutes per side. Add in the veggies, parsley, thyme, salt and pepper. 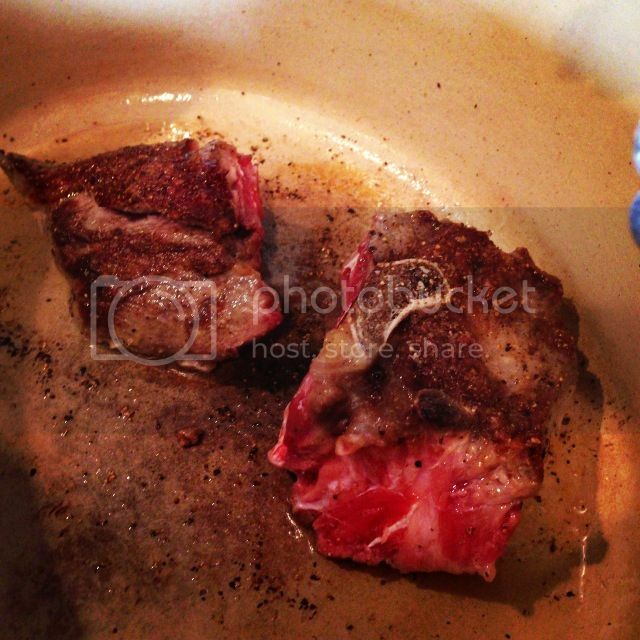 Cook until slightly softened. Add in the red wine and cook until reduced by half. Add in the water, lower the heat to medium low and cover the pot. Simmer for 6 hours. Remove the lid and continue to simmer for 30 minutes. Taste for salt and pepper. 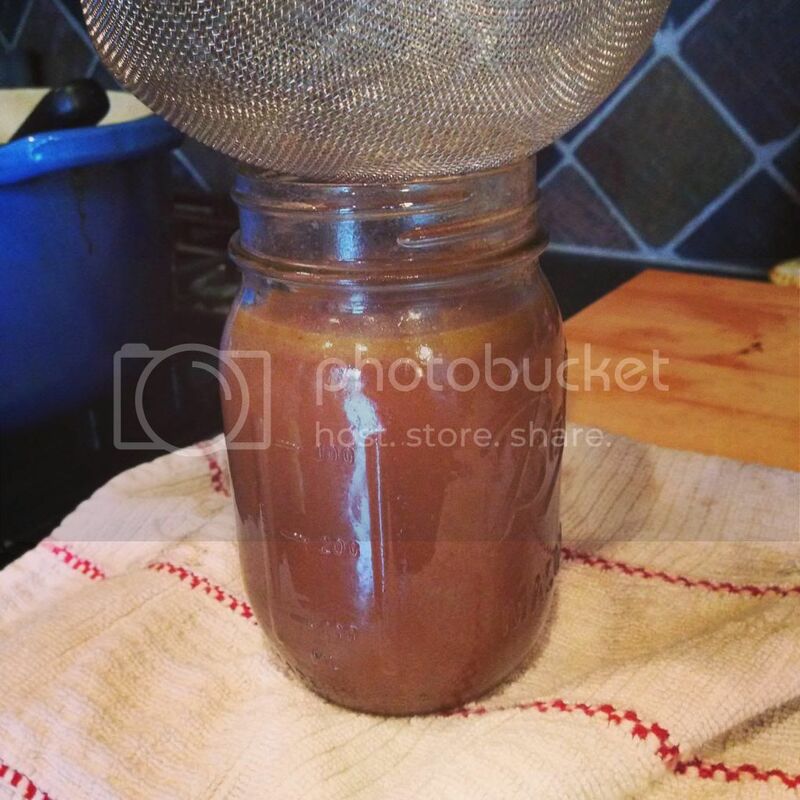 Once the broth is cooled enough to handle, remove all the meat and veggies through a strainer.